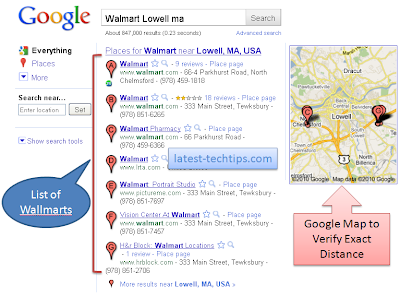 Home Google Tricks How to How to Find Nearest WalMart In Your Area Using Google? How to Find Nearest WalMart In Your Area Using Google? When I was in USA I did 90% of my shopping in Walmart. I just loved being in the store. The things were fairly affordable and loads of variety. If you are in US and want to find out the nearest Wallmart in your area here is what you need to do. 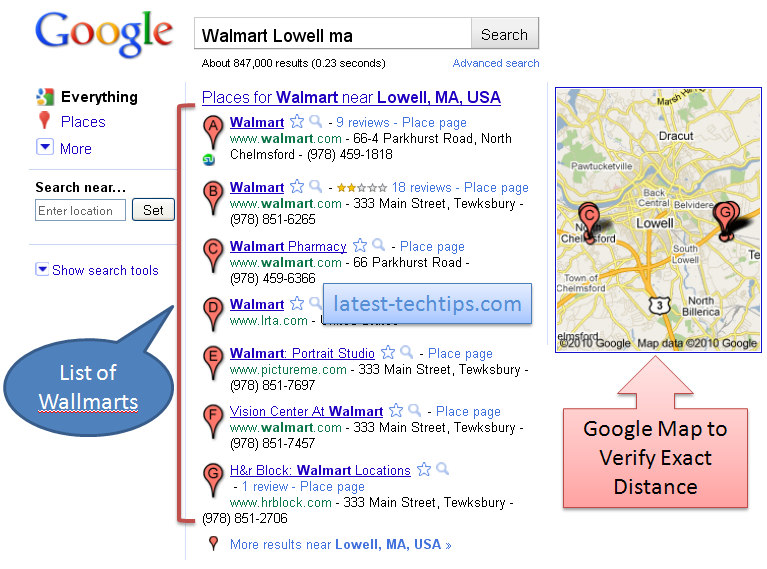 Before you search for Walmarts address just make sure you are exactly aware of the area in which you are staying and the state code example MA (Massachusetts) or CT (Connecticut). 1. Just go to Google.Com. 3. Example Walmart Lowell MA. 4. Just click in search and you will find out all the options available and also Google Maps. This way you can actually find out the nearest Walmart in your area that too fairly quickly. Hope this helped you guys enjoy your shopping.